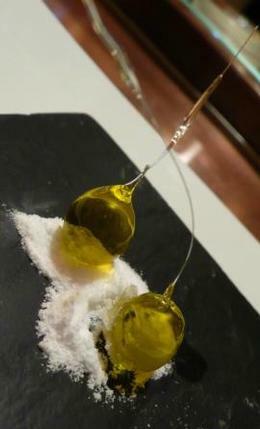 Funky Food Friday: Olive Oil Bon Bons ??? Olive Oil Bon Bons - Gorgeous.. but weird! I saw this one contributed via TwitPic courtesy of @TheGourmetGirl – Have a happy Funky Food Weekend!